29 September 2017 – Almost half the elderly in the Netherlands suffer from vitamin D deficiency. This is one of the main outcomes of Anouk Vaes’ research. Her work highlights the need for vitamin D supplementation, and provides direction for new interventions. Vitamin D, essential for healthy aging, regulates calcium and phosphorus homeostasis and bone mineralization, and probably also plays a role in muscle function. Naturally present in fatty fish, meat and eggs, it is also synthesized when skin is exposed to sunlight. The liver converts vitamin D into 25-hydroxyvitamin D (25(OH)D), a biomarker for vitamin D status. The kidneys subsequently convert this metabolite into the active form 1,25 dihydroxyvitamin D.
Reduced synthesis of vitamin D in the skin and dietary absorption increase the risk of vitamin D deficiency in the elderly. The Dutch Health Council advises women of 50 years and older, and men of 70 and older to take vitamin D supplements. However, the optimal serum concentration of 25(OH)D for exerting its different health effects is yet to be established – casting doubt upon the efficacy of current intervention strategies. Vaes aimed to gain insight into the prevalence and determinants of low vitamin D status. “We explored potential strategies to prevent or reverse vitamin D deficiency, and the effect of vitamin D supplementation on muscle strength and physical performance”, the scientist explains. Forty-five per cent of the 2,851 adults in the study showed a deficiency in serum 25(OH)D concentrations (< 50 nmol/L), whereas one in seven (14%) showed severe deficiency (< 30 nmol/L). Significant associations were observed between age, BMI, dietary intake, sun-exposure and genetic polymorphisms encoding for vitamin D pathway enzymes. “Together, these factors explain thirty five per cent of the variation in serum 25(OH)D concentrations”, says Vaes. The PhD fellow also investigated the contribution of dietary vitamin D intake to serum 25(OH)D concentration. Daily dietary vitamin D intake showed a median of 4.0 (3.0-5.4) μg/day while only 12-20% of participants reported using vitamin D supplements. 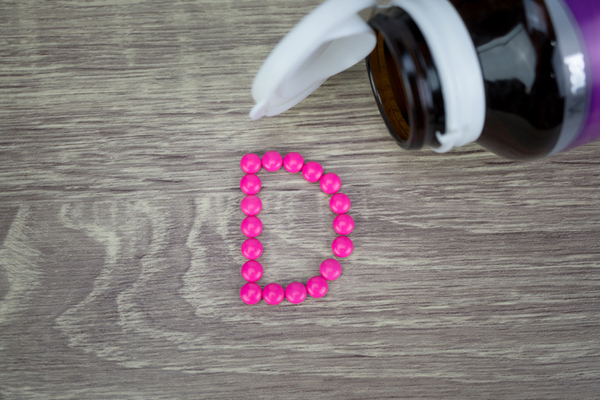 “These findings are in sharp contrast to the current nutrient guidelines, which show that the vast majority of older adults do not meet the reference intakes for vitamin D”, stresses Vaes. The current recommended daily intake for elderly is 10-20 μg/day. For the majority of older adults, supplementation and/or fortification of food products is required to ensure sufficient four-season serum 25(OH)D concentrations. Currently, vitamin D3 supplementation is the usual strategy. Vaes, now a consultant with the Knowledge Institute of the Federation Medical Specialists, enjoyed four inspiring years as a PhD fellow. “TiFN provides an instructive setting for research: ongoing expert guidance and collaboration creates a hothouse for innovative ideas and ensures high quality research”, she says.